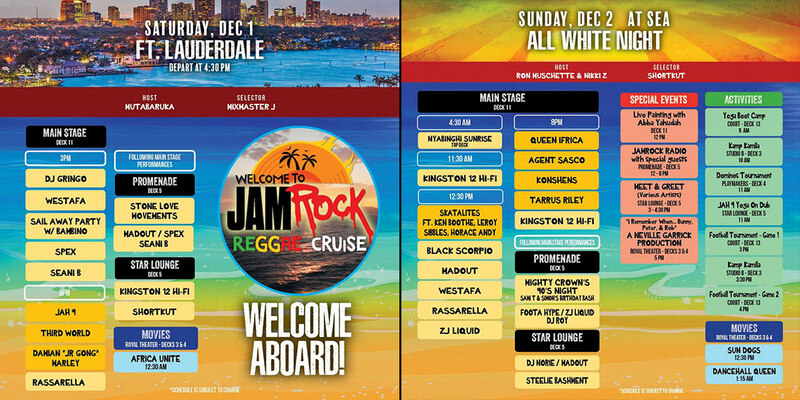 The 5th Welcome To Jamrock Reggae Cruise will celebrate its fifth year on the high seas from December 1-6, 2018. 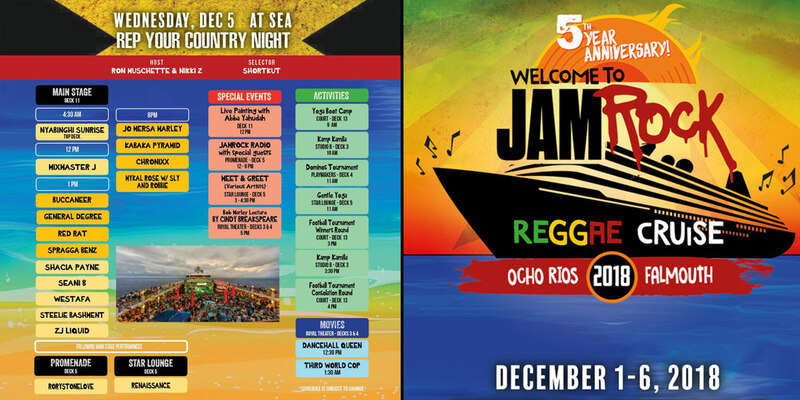 The sold-out voyage aboard Royal Caribbean departs Ft. Lauderdale, FL with stops in Ocho Rios and Falmouth, Jamaica. 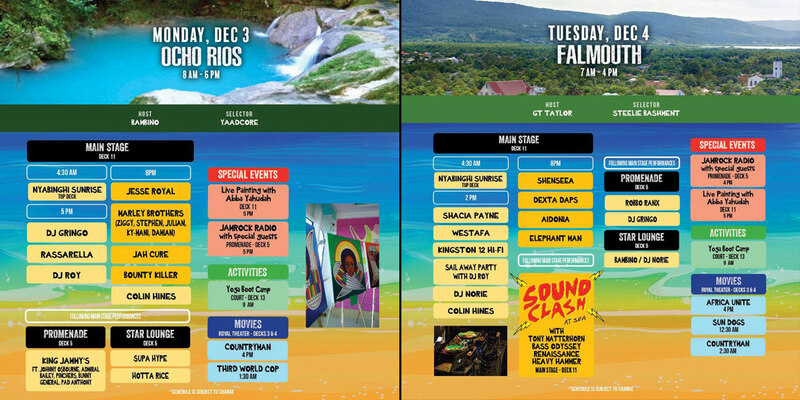 The official schedule (PDF download here) has been revealed now. The line-up by day promises an unique experience for five days straight: If you snooze, you lose! WTJRC 2018 is sold out since February 2018, but cabins for 2019 are still available here.